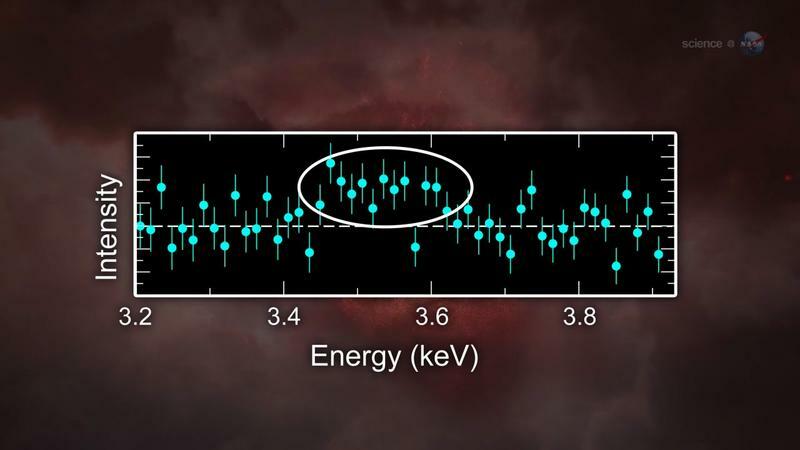 NASA researchers have stumbled upon a signal in the Perseus Cluster—one of the most massive known objects in the universe—that they say can't be explained by known physics. Using the Chandra X-ray Observatory, scientists were observing 17 day's worth of data when the mystery popped up. "It was a great surprise," said Esra Bulbul of the Harvard Center for Astrophysics. "I couldn't believe my eyes." The Perseus Cluster is described as a huge cluster of galaxies immersed in an "atmosphere" of superheated plasma. "Imagine a cloud of gas in which each atom is a whole galaxy—that's a bit what the Perseus cluster is like," NASA says. So, in other words, incredibly, unfathomably large. The cluster's atmosphere is filled with ions, all of which produce a line in the X-ray spectrum, which can be mapped using the Chandra. According to Bulbul, when observing Chandra's data, an unexpected line appeared at 3.56 keV (kilo-electron volts), "which does not correspond to any known atomic transition." So what does Bulbul's finding mean? Since the spectral line doesn't come from a known type of matter, researchers are beginning to suspect it might be dark matter. "The menagerie of dark matter candidates that might produce this kind of line include axions, sterile neutrinos, and 'moduli dark matter' that may result from the curling up of extra dimensions in string theory," NASA explained. So while the jury is still out, a telescope launching in 2015, dubbed Astro-H, could help researchers get to the bottom of the Perseus mystery. Equipped with a new type of X-ray detector, Bulbul believes Astro-H will be integral for the collection of more accurate data. "Maybe then we'll get to the bottom of this," Bulbul said. For now, theories of dark matter abound, though researchers have admitted these theories are a long shot. Still, the current line of thinking is that dark matter consists of over 80-percent of the total matter in the universe, and the latest mystery reading could explain why such a line showed up in the first place.